Another incredible short horror film from Peter Dukes of Dream Seekers Productions! As many of you may already know I absolutely love independent horror films and if you didn't know now you do. 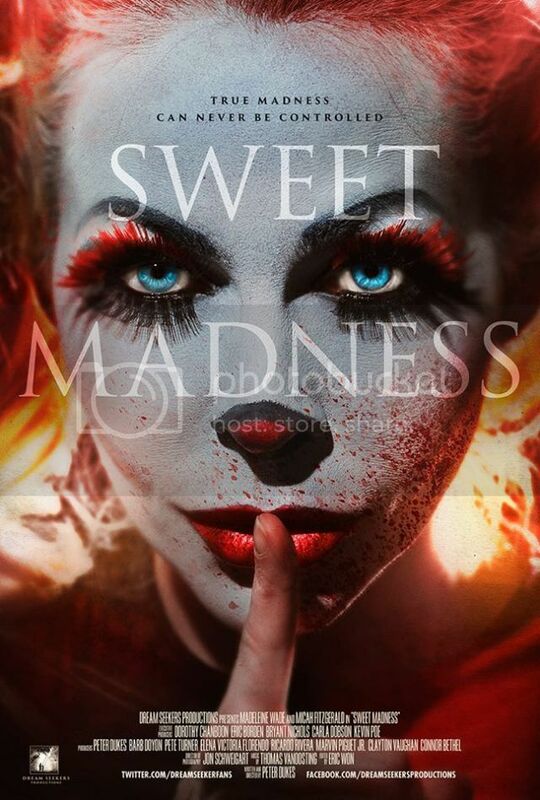 Peter Dukes is one of my favorite short horror film directors so I was super excited to check out his latest awesome thriller, Sweet Madness, a film that focuses on Harley Quinn. If you currently live under a cave and have no idea who Harley Quinn, please accept my help! Harley Quinn is an enemy of Batman and partner-in-crime to the Joker and Poison Ivy. The film focuses on Harley and her obsession with Mr. J who is incarcerated in Arkham Asylum. So, Harley decides to hold the Mayor along with his family hostage in order to negotiate his freedom. Awww! It's kind of twisted but still very romantic. 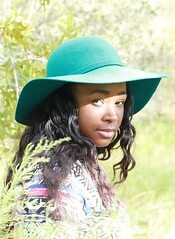 Actress Madeleine Wade plays Harley and she does an awesome job. She's adds a touch of cuteness and plenty of madness! Micah Fitzgerald who plays Mr. J doesn't look like the Joker but he definitely sounds like him. If you're really looking forward to the film Suicide Squad but need something to hold you over until it's released next year, why not check out Peter Dukes' Sweet Madness? You won't regret it and you will be entertained! Check out Sweet Madness below and tell us what you think!